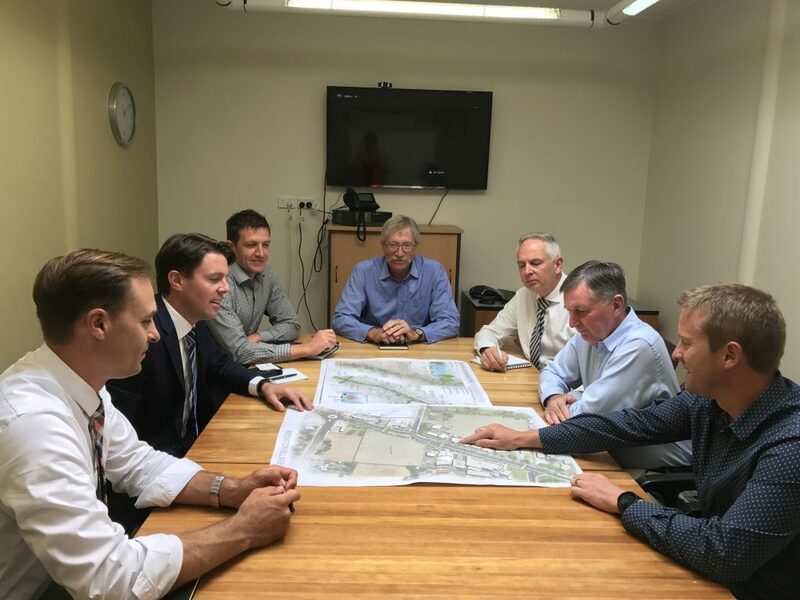 Discussions with Senator Jonathon Duniam, second from left, included from left, Daniel Gillie, who is Senator Duniam’s advisor, and Brighton Council’s James Dryburgh, Ron Sanderson, Greg Davoren, Mayor Tony Foster, and Heath MacPherson reviewing the Streetscape Project plans. FEDERAL funding has been secured for the Brighton Streetscape project and work is expected to begin shortly. The Streetscape Project will revitalise the Brighton town centre with the aim of connecting the community and creating a place where people feel proud to live, visit and work.